Ooni faces another marriage drama as U.S. lady calls him out of Facebook. 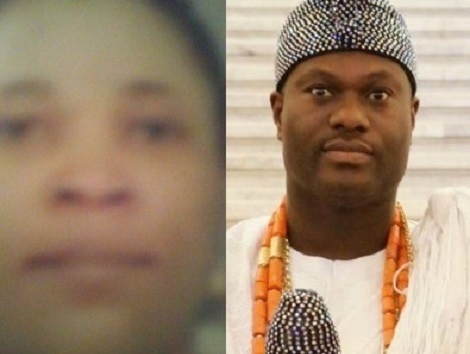 A Nigerian lady publicly accuses the Ooni of Ife of dumping her to marry Olori Naomi after using her to achieve business successes in the U.S.
A U.S.-based Nigerian lady by the name Elizabeth Odunlami, has put the Ooni of Ife, Oba Adeyeye Ogunwusi back in the news just one week after his celebrated marriage ceremony. But this story is not a pleasant one. Using her Facebook account, she publicly accused the revered king of dumping her to marry Olori Naomi after using her to achieve business successes in the U.S.
She claimed the Ooni promised her marriage while the going was good. Kabiyesi Enitan Ogunwusi, I'm thanking you for the disappointment after using my real biological name to execute your contract from Mr. John in California. On certainty, you told me that all your so-called spiritualists positively accepted me as your new queen, that shouldn't listen to rumors, always communicating with me everyday promising me ticket to Nigeria soon. Had it been that i knew you're a liar, do u think that I'll release all my personal informations to both you and your contractor that died in ghastly accident, you put tears in my naked eyes and give joy to Naomi after getting your plenty million contracts successfully and also told me after Olojo festival that you're sending me ticket to board airline to Nigeria. If want to deal with you in America way, you'll be arrested by USA, but for the sake of love that i have for YorubaLand, I'll leave you with Judgement of God Oonirisa Oba Funfun Nene. For those making Jess of me on Facebook continue making Jess of me. I'm already successful and I'm a pillar. Nobody tackle with me. Vengeance is Lord between me and you Akande Enitan Adeyeye Ogunwusi. AdabiArojahadafun iwo ati PA ti mo designated to bring the contract to you at your lle-Ife palace. Idajo Olorun Esan a wo afin e soon wa mo wipe emi gangan ni atupa Jesu. Feel free to share the post.